Learn how to manage time better with these tips that will show you the simple steps to help you improve time management skills. Effective time management is an important skill, and unfortunately, it is not one that comes naturally to all. But just why is it so important? Well, if you have ever felt that you never have enough hours in the day (and let’s face it, we all have) then you need to manage your time more effectively to ensure that you get everything done. All those you admire in your work place, or all of those mothers and fathers that you think “Wow! How do they find the time?” this is their secret. I can't overemphasize the importance of learning this skill. It will totally revolutionize your life and reduce your stress levels, while maximizing your productivity. On this page I'll feature some fundamental tips and suggestions to help get you started on the process, but to make learning how to manage time better a straightforward process I suggest that you grab a copy of my Guide that will lay it all out in an easy to follow process from beginning to end. Time management is vitally important in today’s fast paced, high pressured world. Without time management, we would all become bogged down with petty task that initially seem vitally important, but upon reflection are not that relevant at all. Time management allows you to spend time with your family and ensures that you can have that all important “you time” that allows us all to get through the next busy week. As already stated, time management skills are not in our natural instinct and so clearly time management is something that has to be learned. Fortunately, learning how to become better at managing your time is not a tedious or long winded course that will leave you frustrated and none the wiser. Time management is so important, especially in busy lives as it allows you to keep a clear focus on what you need to do and when. Focusing on one task at a time is the most effective way of handling multiple tasks and enabling you to complete these tasks well. This is mainly because the human brain functions at its best when it only has one task to focus on at any one time. This next reason as to why time management is so important may seem rather extreme, but if you are serious about managing your time well, it has to be considered. Working out how long you spend on each task will allow you to see where the majority of your day is spent. This works in a similar way to keeping a food diary, it allows you to analyze your own movements and where you are wasting your valuable time. Although this may seem tedious, it only takes a week to realise where your precious moments are spent. You can then work out whether or not your time is being well spent. Learning the vitally important skills of effective time management is relatively easy and you will be using some of these techniques already. It is relatively easy to research time management skills and techniques and now that you know why time management is so important you will be keen to put your new skills to the test. It is worth remembering, however, that regardless of how well you can manage your time, it is unlikely that you will ever be able to complete all on your wish list. People are always looking for ways to make more time in their day. Whether they are in bed and look at the clock and see how long before they have to wake up. Maybe you are sitting in a line of traffic and waste valuable time as the light stands at red. Luckily, there are things that you can do to make the most out of this wasted time. The first helpful time management tip that you can use is to prioritize. Making sure that you do tasks in the order they need to be done can help you save a large amount of time. You do not want to be drying your clothes before you pick your friend up from the airport! The second helpful time management tip that you can use is to tackle the task as soon as possible. This may sound contrary to my first tip. However, it can make a world of difference. Getting things done as soon as possible means that you will not need to worry about them later on! The third helpful time management tip that you can use is to find extra time. People often sit in front of the TV, computer, or on the toilet for much too long. You can use this time to do the tasks that need to be completed and enjoy the rest of your day at a more leisurely pace. Hopefully these time management tips help you save more time in your day. Time management can be such a hard concept, however, you can train yourself to be better at it! Interruptions are one of the biggest time thieves in your life. You may not have actually tallied how many minutes or hours have been stolen from your day by other people or situations barging into your day. You will never have a single day that's not interrupted by something unexpected. This is usually what throws people off course. It can break your concentration, making it harder for you to get the flow back. If you're at work and someone pops in for "just a minute," you'll notice that it always turns into a lot longer. Before you know it, half an hour to an hour will have passed and you can't get that time back. You want to allocate time for these interruptions by looking at your day and figuring out how much time you have to give these. For example, when someone walks into your office, you can say, "I'm working on a project so I can only spare five minutes." At the end of five minutes, if the other person is still there, you say, "I'm sorry, but my time is up and I have to get back to this." If you respect your time, others will, too. This gives you a go-to launching place. You know what you have to start on first. It helps you to manage time if you have a map to follow - even if it's simply a list of what you must accomplish that day. 3. Plan your phone conversations. This is a huge time waster. But if you plan your conversations before you make the call, this helps you stay in control of how long the conversation lasts. If someone calls you and you need to get off the phone, you just say that you have to go. Most people don't want to risk sounding rude, so they'll remain on phone conversations that are taking up a lot of their time. If that sounds like you, there are several easy ways to end a phone conversation. You can say that you're in a time crunch and have to go or that you need to take care of something. Usually, that will cause the other person to say goodbye and end the call. It's okay to tell someone you can't talk at the moment and will have to get back to them. The second you start being someone else's sounding board for all of their problems, on an endless loop is when you get taken advantage of constantly. 4. Don't let technology interruptions disrupt your time management. When someone isn't dropping by your office or home, they're reaching out to you through technology like email or on social media. These can quickly take up hour after hour of your day because it's easy to get sucked into playing a game while you're handling something business or personal related online. If being on social media is a must for you, let it be a scheduled interruption. For example, you just write it on your planner that at lunch, you've scheduled ten minutes to be on social media. Stick to that time just as if it were an appointment. If you have to, use an alarm on your smart phone or set an egg timer so that you're made aware of the end time of this distraction. 5. Separate the interruptions between what must be dealt with and what doesn't have to be dealt with at that time. You don't have to make someone else's urgency your priority and you'll see this a lot when it comes to work things. Someone didn't get what they needed or didn't accomplish what they needed and all of a sudden, they want to drop it in your lap. Or, they want you to stop everything you're doing to help them get out of a jam. There's something to be said for good teamwork, but if this is a recurring situation, it's time to put the brakes on bailing others out. There are billions of people and billions of things that have to get done each day. But there's only one you and you can't do it all. So you have to prioritize what gets done and what gets moved to another day or delegated to others. 6. Look at your day's to-do list and begin your day by starting with the most important item on your list. There's a psychological reason you want to do it this way. When you do the important tasks first and finish them, it gives you a feel-good release of hormones and it makes you feel more energized and more like tackling other items on your list. Plus, you get to see that you're making progress. If you start with the easiest task or the fastest task and put off the most important task, there's a chance you may not get to it by the time the day ends - and then anxiety sets in. 7. Refuse opportunities that will take up too much of your time. You can't be involved in every activity and you can't attend every single meeting that you'd like to. 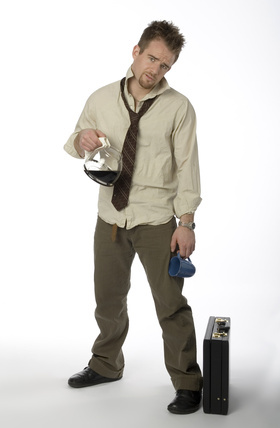 You'll end up overworked and frazzled. If you work from home and there are several webinars you'd like to attend, but you're already struggling with time management, there's a way to decide which ones to choose. You look at the ones that will give you the most benefit both personally and professionally. Sometimes there might be something you're interested in, but it's not conducive to a good time management schedule. That means you have to pass. If you push yourself to go beyond what you should do by cutting back on sleep, this will eventually catch up to you. When you lose sleep, it can cause you to lose focus. This means you'll start doing sloppy work and you'll find yourself having to redo work - or you're sluggish to begin with. Not only that, but when you start giving up your needed rest, it weakens your immune system and you'll be more susceptible to catching whatever virus is going around. You'll end up losing time rather than being a good manager of it. You might want to stay up later and wake up earlier to get more done, but being well rested means you become far more productive - and quality improves, too. 9. Take care of yourself in other ways, too. Make sure that you get the exercise that you need because exercise is something that actually helps you with time management. It keeps your energy levels high. Plus, taking a break from personal and work responsibilities gives your mind a chance to be refreshed and come back to the task with a fresh outlook. Increased focus helps with productivity and saves you time in the long run. There can be a tendency to work full speed ahead, whatever it takes, to get all of the things done that you need to get done. Many people give up time with friends and family to try to gain more time. They bring work home on weekends or they work on a to-do list all weekend around the house in an effort to get things done. Some people haven't had a vacation in years - not because they can't afford it - but because they don't feel like they have the time. But if you take time off, away from everything you need to do, you end up getting more done because your body as well as your mind needs time where it has absolutely nothing it "must" focus on. When someone is a perfectionist, the job has to be done perfectly. These types of high achievers can experience more stress than someone who is not a perfectionist. When it comes to time management, perfectionism will work against you. 11. Know that it's okay not to do it all. Forget about multi-tasking. Multi-tasking is synonymous with doing several jobs poorly all at once - and that's very frustrating to someone with perfectionist tendencies. You don't have to accomplish everything in one day. Instead, concentrate on what's right in front of you that has to be done first. Get that finished and then move on with the next item. 12. Give everything you need to do a time limit. Whether you're a perfectionist or not, this is a good rule of thumb for anyone looking for better time management. Open-ended tasks have a tendency to pile up because there's no finish line. So when you look at the whole picture of what has to be accomplished with the time you have, it can feel overwhelming. It's better to break the things you have to do down. For example, if you have a project that has to be completed by a certain deadline, you need to divide that project up by how long it will take to get the work done. If the project will take 40 hours to complete and you have two weeks to get it done, you know you have to work on it 20 hours per week or 5 hours per day. And take into account interruptions and other obstacles that will get in the way. 13. Don't schedule anything back to back. You have to have some time - even if it's just a few minutes - where your mind can relax and get away. Mental exhaustion is often more draining than physical exhaustion. Like your body, your brain can't go full speed ahead on something without needing a time out every so often. In between your to do list tasks, break and do something enjoyable - or do nothing at all. 14. Divide all of your tasks up in your personal and professional life by hours, days, months, seasons or year. For example, if you know that every fall the gutters on your home have to be cleaned from the leaves that fell, you'll want to put some time for that task on your schedule. If you know that every year, there's a Christmas party at work and you'll need to bring something as well as show up, put that on your calendar, too. If you own a business that has seasonal items, you'll want to schedule to take care of releasing those products, press releases or email newsletters ahead of time. You don't want to wait until December to talk about December projects. 15. Look over your to-do list - you should have one for both home and office - and cut it down. Most people end up with poor time management because their to-do list has too many items on it. That's because we all like to achieve things and even the possibility of achieving things makes us feel good. But people often set up tasks that they can't accomplish because there's not enough time. It's like setting yourself up for failure. Whittle the list down and if there's time left over, you'll feel a bonus that you got something "extra" done rather than failed to complete something imperative. Everyone has areas of life where there's a lack of organization. Whether it's at home or the office, we misplace things and we can't find things when we need them because we're not organized. But getting organized is a big help with time management. Declutter your home and office before you attempt to tackle staying organized and managing your time better. 16. Forget the elaborate systems. Any system you use for organizing your life that takes a lot of time to keep up with is actually a waste of time. An organizational system should enhance your life, not detract from it. You can use simple means such as an expandable folder to keep track of bills that need to be paid or projects that need to be completed. You can use a filing cabinet with hanging folders. Don't overcomplicate your organization system. Invest in simple solutions and watch how it transforms the way you manage your time and act in a more productive manner. Procrastination is a big problem for a lot of people in all walks of life. We don't like to do the things we don't like to do. It's as simple as that. No one wants to do the hard jobs that seem boring. We don't want to do the job that's going to take us five hours to complete when the sun is shining and we'd rather kick back and go to the beach or spend time with friends. When you get the most difficult tasks over with, they're done and you have that sense of satisfaction that it's now behind you. One of the biggest time management problems is with paperwork. If you haven't switched to electronic file keeping, then it can be easy to get overwhelmed and disorganized just by the volume of documents. Since you don't want certain sensitive information stored online, you'll want to keep that at home. When you get important paperwork, take care of it immediately. Put it where it needs to go. If there's something that requires you to make a phone call before you can put that paperwork away, put the paper in your desk inbox and make a note in your planner to schedule a time to make that call. 18. Group similar items together at home in order to save time. For example, when it comes to better home time management, if you have to run errands, group all of the errands that are within the same area together. Try to work it out so that you only have to deal with one errand day a month. Do the banking, post office needs and any medication pickups on the same day. Driving can be a big leak in your time management success - and since you need to pay attention to driving, you can't do much else except maybe listen to a podcast or something else you need to listen to. 19. Do the same at the office. You can do the same when it comes to work tasks. Things that have to be done every week can be grouped by days and according to difficulty and length of tasks. If you know that you need to drop something off at someone's office and you have a meeting, you can drop the item off while you head to the meeting. This also helps prevent time wasted chatting when you have to be somewhere. 20. Have a calendar for both home and office. Keep it where you can see it every day. You can put it on the wall or on your desk. The ones with the large blocks that enable you to write appointments in them work best. This way, you can see your day at a glance and your week and month as well. These larger calendars often work better for time management than the smaller ones you can keep tucked away. You can manage time better by finding lost time. Lost time is that which you didn't even realize you were wasting in the first place. It's almost like keeping change in a piggy bank and one day you realize it's totaled over $100! 21. Don't waste the time that most people do. There are ways to find time that's often overlooked because people tend to think of time management as being large blocks of time available. But you can do a lot with just ten or fifteen minutes. Don't waste the time you have while waiting in a doctor's office or while exercising. If you like to use a treadmill, you can get one that has a desk so that you can take care of something that has to be dealt with. 22. Realize that not everything that seems important is. It only seems that way. Look at your life and stop doing the things that aren't important that drain your time. If something isn't a matter of you being happy and succeeding personally or professionally, then it's not important. 23. Run ahead, not behind. 24. Delegating is a great way to help with time management. Most people like to do things themselves because they know then that the job is done correctly. But if you do the things that others can do, it's draining your time. For example, some time drains are things like mowing the grass or cleaning the house, scheduling meetings, handling social media updates. What you can do is to look at how much it costs you do the tasks that you do. If someone else can do them, then you're not only losing time - you're losing money. 25. Deal with emails the right way. Handling email causes more people to get off track than any other online task beside social media and online games. Manage your time wisely with email by setting aside a specific time to deal with email and setting a time limit on how long you'll take responding to the messages. If they're not important, don't save them to look at later because they'll only pile up in your inbox. If your life allows you to, hire an assistant to deal with handling your email. Having a family is the hardest job that anyone can ever undertake. Juggling the many different jobs a parent has to do, such as cook, cleaner, entertainer, nurse and best friend is a task that we all feel that we are failing in from time to time. Every parent has uttered those familiar words of “I’m a terrible parent” and usually it is because they forgot to bake a cake for their child’s school fete or missed a football game. The reason why they forgot or missed something is usually because the pressure of everyday life is pulling them in several different directions. This is where effective time management for families comes in. The best and most simple way of effectively managing time for your whole family is to have a dry wipe board. By using this you will be able to write what every family member is doing and when. Place this dry wipe board in a visible place that everyone uses, like the kitchen, or even the bathroom if the kitchen is full, and this will at a glance allow you all to know where you should be and when. It is the simplest way of effectively managing your family’s time. To emphasis this dry wipe board, color code it so that each family member has their own color. His will help younger members of the family use the board too as even though they may not yet be able to read, they will be able to identify the different colors. Ensure that all family planned time together such as to the cinema or supporting a child at a sporting event is highlighted and given a time frame. As well as this being a clear reminder to you (because we all need one occasionally) it also depicts to the children that family time is important and that it should be celebrated. Family dinners can be a stressful time. You want to make a healthy home cooked dinner, but at the same time you are struggling to meet deadlines at work and do the monthly or weekly shop. This is where the freezer comes in. Once a week, when you seem to have slightly more spare time than on other days (mine is a Sunday) batch cook. Just one recipe, such as chilli, soup or lasagne and make enough for a month. You will still know exactly what has gone into it and all you need to do is take it out the morning of the day you wish to have it. This will give you more time to spend with the kids and if you batch cook a different recipe each week, pretty soon you will have a well stocked freezer full of your healthy home favorites. Managing a family is tough and managing their time is a tricky task. These tips have been tried and tested and allow me to keep sane whilst enjoying my families company. Some may say that there are two types of people in this world; those that are organised and those that are not. For those who are unorganised, or indeed unmanageable, it is the other breed, the organized people that will attempt to bring some structure to their lives. When trying to organise these people, one of the key features of their lives that they need a little bit of help with, is time management. For those who are unmanageable, whether that is through an employer’s point of view or that of a family member, trying to get them to manage their time at all, let alone effectively, is a challenge which can seem colossal. The first step in teaching unmanageable people how to manage their time effectively is to give them achievable, realistic deadlines that they can see themselves reaching. Setting them something which is too tight or restraining straight away will only make them more unmanageable. 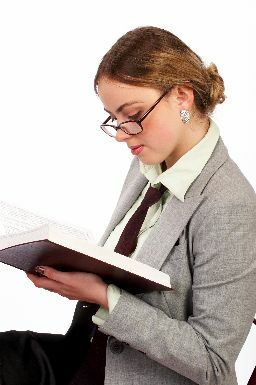 This is a technique that can be used for both employers and parents. If you are an employer, give them an extension or reduce their amount of work. I realise this may seem unfair, but the initial step in managing unmanageable people is to let them see hat they can achieve and conform. This is the same for Parents. Set a realistic curfew. If you know your unmanageable teen is off to a big party, don’t demand that they are home by 9.30. Let’s face it, it just won’t happen. Instead, think of one that your child will achieve, that way you are able to let them see that they can work within your guidelines. 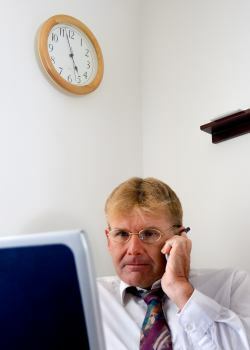 If your employee is continually late for work, consider changing their hours. If you can get them on a later shift, would this help? Otherwise dock their wages, set them mini punishment or reduce their lunch hours. If you are trying to get your child to focus on their chores and their homework, then you may wish to consider getting them a planner or organiser and teach them how to mind map there list of what they need to do and how to prioritise it. Many of take these skills or granted as we have used them as a coping strategy for years, but you need to remember that your child may not have understood this process yet and may need guidance on it. Ensure that your unmanageable person realise that everyone has a schedule and teach them the importance of sticking to it. Even simple things like if you miss the 7.45 buss, you will not make it in time for briefing and this may mean punishment of some sort. Missing one mini deadline on the schedule can and will mess up your whole day. By getting unmanageable people to view their tasks in chucks, this will aid their ability in them being able to cope with their daily lives. I hope that you will check out my Time Management for Busy People guide to learn the actual step-by-step process to manage your time and become more productive, with less stress. I Guarantee that you will get massive benefit from it! Regardless of how much we'd all like to have extra hours in our day to get things done, we're limited by what we have to work with. Instead of wishing for more time, there are ways to make the most of the hours available by practicing time management tips. The majority of hard working people want to practice good time management and they start out well with this, but they forget to figure in the one biggest thing that sabotages time. Below you will find many more helpful resource pages filled with tips you can put to use today to learn hot to manage time better! A task list will make you much more productive! Guaranteed. Take Responsibility For Your Lack of Time Managment And Learn How to Do it Better! Yes - Time Is a Four-Letter Word! 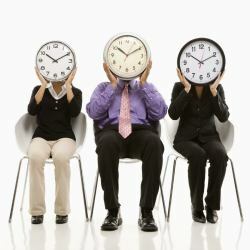 What are The 3 Ps of Time Management? Nurses are some of the hardest worked positions in any industry. They have to get so much done, care for many different people, and be able to do all of it in a short amount of time. Being a nurse requires that you know many different time management tips for nurses. Here are a few that will help you become the best nurse that you possibly can be. The first, and most important task that you can use as a nurse is being able to delegate. You use this skill whenever you triage a patient, or determine if someone is critical. The more experienced nurses need to handle serious cases while small problems like a cut can be dealt with by a less experienced nurse. Another common way to delegate is diving up the work among a large staff so it is completed quicker. Your nurse manager may do this, and they usually will be quite good at it. Another important skill to have as a nurse is being able to work quickly. You should not fill out paperwork every single time you see a patient unless you have to. Rather, wait until the end of your shift and fill everything out at once. This saves you from having to fill out forms, then go and clean your hands before seeing the next patient. You would be amazed at how just a few useful time management tips for nurses can save them as much as an hour or more per each shift. 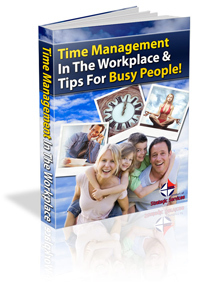 You should visit the HOME PAGE of this how to manage time section to learn more self help and professional development tips. Have your found this information helpful? Will you use it? Please share your thoughts about what you have learned here, by posting a comment in the FB comments box below. I'd love to hear what you have to say, and how you rate this page and this site. If you love it, please share it with a FB Like or a Tweet - Thanks!